If you need to see the tiled file or anything else, just let me know. Nothing immediately jumps out at me as being obviously wrong. What errors are you getting, and does it compile if you include incmapfile but remove plotmap? The level.tmx file should be in the gfx_JourneyWest folder as well if it's not already. If you look at the above post, scroll down to the INXS and Ghosts n Goblins screens, the code is there for download for the 320B screens. I will look later also. Edit: If you have setdoublewide to "off", shouldn't the tilemap be 80 tiles in width? I might be wrong about that. In the INXS example above, I have setdoublewide to "on" and the tilemap width is 40 blocks. I think that's right because the width of a character in 320B is 4 pixels, so 4 pixels x 80 tiles = 320 pixels. I think then your plotmapfile command in your code should have the parameters: 0 0 80 14. Your Tiled map also must be 80 by 14. It doesn't compile if I include incmapfile, any reference to the .tmx file and the code wont compile. Thank you for this, the only issue with it being 40 characters is the compiler will throw an error if the number of tiles is greater than 32, so I wouldn't really be sure how to get around this. Edited by R_Leo_1, Sun Mar 3, 2019 11:54 AM. Hmm. I also remember having to make sure the tilesets were in a single row and that they had to be indexed before I imported them into Tiled. 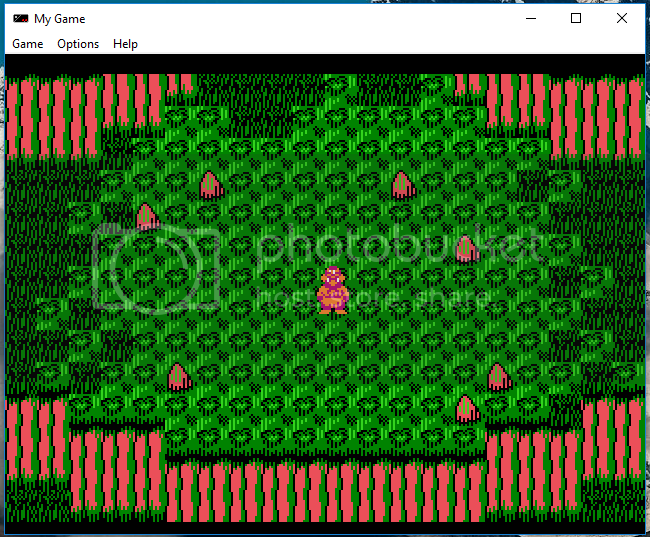 I also had to "embed" the tilesets in Tiled, otherwise it would result in compile errors. Have you gotten any 320B graphics to work? Can you use a format like I did with doublewide on? Also if you have too many unique tiles, the program will not compile. 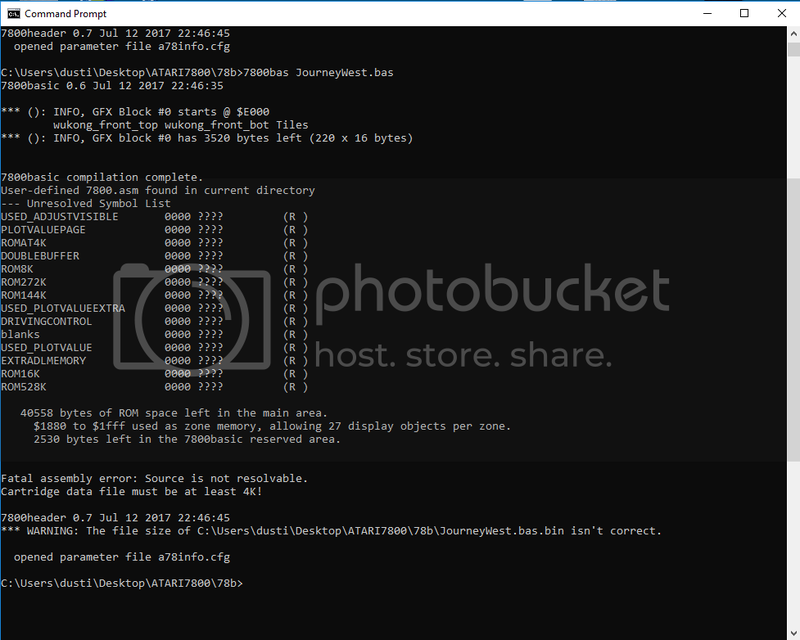 If you want, you can upload a zip file with your tiles and Tiled files and I can try to get it to work, but it's been a really long time since I've tried this. "blanks" is an undefined symbol in your list. Did you use a "blanks" graphic file during the map creation, which you haven't imported into your basic program? I changed doublewide to on and I used plotmapfile instead of just plotmap and the programmed compiled properly, thanks for the help! I did previously have the blank tiles imported into the basic program, but I have removed them since making this post because I realized they go unused, thanks for the tip! I love it. Sharp title screen. I can't wait to see what you do with it. Oh wow! My wife will love it! She a fan of those old Chinese folk stories? Oh wow, that's pretty neat! I've actually watched some clips of this for inspiration. Hey, that's the 1986 CCTV version! By far the best!